PLEASE NOTE: This is a summary and analysis of the book and not the original book. Author and physician Atul Gawande analyzes the diverse and problematic landscape of end-of-life care. 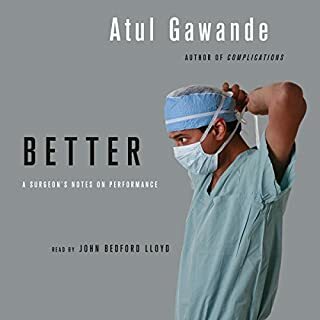 By providing examples of the good and bad, Gawande shows that we as a society can do much better for the elderly and dying. Despite billions of dollars invested in medical research and technological breakthroughs in American healthcare made to prolong and improve the lives of patients, a devastating statistic remains. Two thirds of Americans die in healthcare institutions tethered to machines and tubes at bankrupting costs, despite research that shows 80 percent of Americans would prefer to spend their last days in their homes surrounded by loved ones. Yes, this book should be required reading for any medical professional of any kind who may ever have to help any patient make good decisions for themselves and their families against terminal or very debilitating illness. It should otherwise be read by well, anyone. We are all going to die. We either need to know what expectations to give those around us for those end times, either family or medical professionals or we need to know how best to guide our loved ones through the process of the end of their lives, because it will happen for all of us. Past that, this is a remarkably entertaining read. Oh, the parts about the history of nursing homes and assisted living made me yawn, but the rest had me spell bound. Dr. Gawnde's accounting of his own father's illness and death left me awash in emotion and even tears. The narration was perfect. A masterpiece of medical journalism. It is not an easy listen. Parts are unbearably sad. Contemplation of one's mortality in preparation for the inevitable, is something that most of us would just as soon put off thinking about until close to the end. This book is most recommended for those confronting life threatening illness, and for those with loved ones or family members doing so. It is also for those interested in first rate writing regardless of topic. This is that rare work that addresses life's most painful subjects with utmost lucidity, objectivity and sensitivity. It is a book that you come away from feeling as though you are, for reading it, better prepared to cope with the approaching end of life. It makes you feel as though you are better equipped to support loved ones. It is a masterful critique of contemporary medical practice and its approach to aging and dying. It offers a new vision of what medicine can and should offer the aged and the terminally ill. The patient narratives are gripping and yet painful to read and to contemplate. What would you do in similar circumstances? The narration is also first class. What an interesting and clear overview of aging and end of life issues. 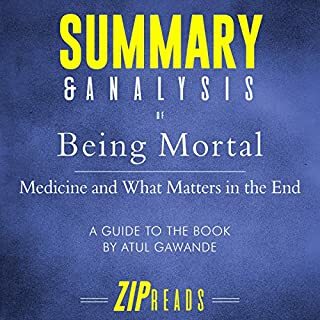 Gawande covers the process of aging and end of life, what fragile elderly means, history and trends of their care, how other cultures do it, case studies, his own choices with his father and... the best discussion of these issues I have ever read. My MD son enjoyed the information as well. 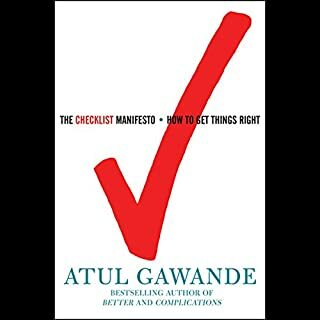 Rather than provide what he thinks is the "right" way to face EOL issues, Gawande gives us questions to ask the individual to help them determine their "right" way. He encourages us to have the hard conversations in advance so that an individual's wishes can be respected. Excellent book for healthcare personnel, families and aging adults. I adored "One doctor" by Brendan Reilly and some of the content is similar... even if you have read Reilly, I still feel this book is well worth reading. I started to write that anybody over 50 ought to read this book, but that isn't true - everybody ought to read this book and wrestle with the idea of the end of life either for ourselves or our parents. 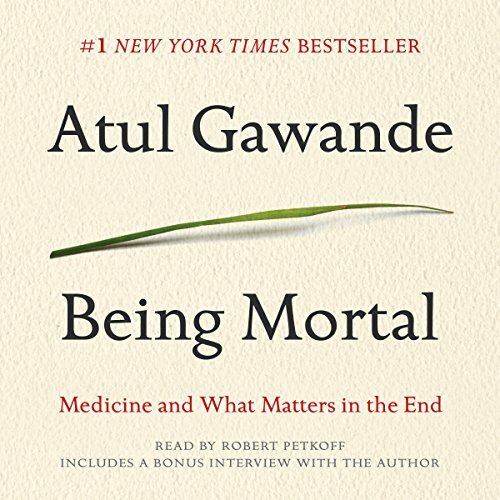 Gawande is a superb researcher, a clear writer and he never loses the reader as he educates us about the american way of the end of life. A must read. Because you - like me - are going to die one day. Because maybe you - and maybe I too - will become one day old and frail. Because maybe you too - like me - have an old parent to care for. Maybe you too - like me - have lost a parent to a terminal illness. And we have a lot of doubts, and hopes, and fears. This author helps us a bit, with his compassionate interest for unpleasant and important questions that concern us all. Don't miss this book, it's important. What an incredible book! I really think everyone should read it. I wouldn’t have picked it up if it weren’t a book club choice, but I’m so grateful now that I read it. It’s about a “difficult” topic - end of life issues and quality of life at that time – but the book itself is not difficult to read at all and is, in fact, very interesting. Atul Gawande handles the topic beautifully. 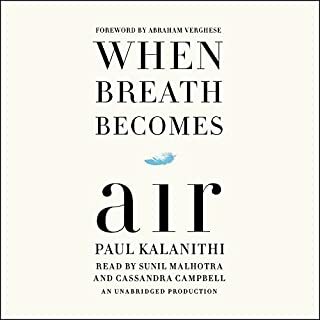 He explains, basically, how medicine needs to focus more on a patient’s wishes at the end of his/her life and not the family’s fears or wishes for the patient. Sometimes families want to go to extraordinary lengths to protect and prolong life, while the patient is really not willing or even physically capable of withstanding the treatments that the family wants to subject them to in the name of love. Sometimes, time has run out, and quality of life is the most important thing at this point. These are certainly tough decisions. Gawande says that doctors are not really trained to talk to patients about dying. They are trained to try and CURE at any costs. The easy part is talking about all the treatments and drugs that can be used. The hard part is talking about and dealing with a realistic timeline and quality of life. Accepting that life can be shorter than we want can be extremely difficult! Gawande holds out hope that doctors might eventually be better trained to talk to patients about these issues. Other topics relating to end of life issues are covered as well. There is a fascinating section on assisted living and various newer models which, again, hold out hope for the future in this area. “ It’s really a series of questions that we need to be comfortable asking one another. It needs to be normal to ask these questions, especially when someone is faced with a serious illness, and especially when we know that we’re aging and becoming frail. 4. What outcomes are unacceptable to you? What are you willing to sacrifice and what not? 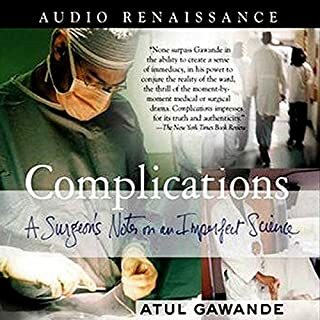 I also learned that there is a PBS Frontline video of Dr. Gawande and his work. I’m watching it now. It is perhaps even more powerful than just reading about his work. In any case, this book has opened a dialog for doctors, patients, and readers about needed changes in an important area! I have been an RN for 30 years and have watched the decline of our care for the elderly. This book is a must read for everyone. Families and the medical community needs to take a second look at how we care for the people who have made our lives possible. It is an honest and compassionate evaluation of long term care I gave a copy of this book to everyone for Christmas. If you could sum up Being Mortal in three words, what would they be? 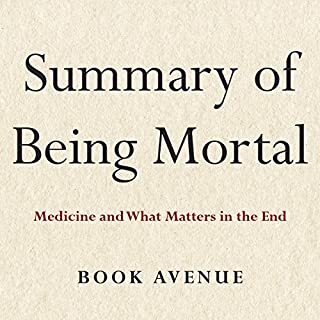 This book should be required reading (listening) for physicians, medical students, social workers, chaplains, and those who care about what really matters at the end of life. The numerous stories clearly show how complex and challenging the art of care is. From personal experience, I have observed how often family members resist the loved one's expressed wishes. Consequently, I was fascinated when the author shared his own father's story. Even in this medical family, the prospect of wrenching loss played out at the end in the poignant way that demonstrates how the heart has its reasons. This book is a priceless contribution at a time when the implications of the anticipated tsunami of boomer care issues looms large. I haven't read a non fiction book in years. I opted for this for personal reasons. Loved it. Will act accordingly. Thank you for writing it. You are a blessing to your family and ours. I will update later but I think everyone should read this book. It should also be a standard textbook for pastors, chaplains, and social workers. Death is inevitable. We need to learn how to do it better.